If you enjoy great music, talking on the phone with friends, and driving your car then we have a solution that allows you to do all three at the same time, safely. 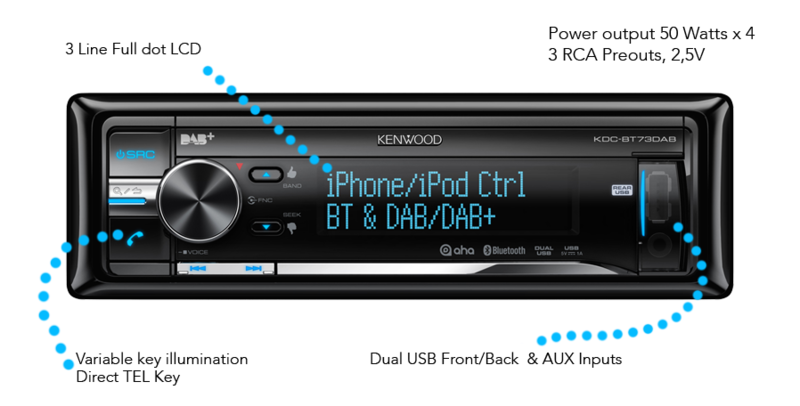 With Kenwood’s Bluetooth hands free car kit technology you can enjoy a hands-free service. - Automatic incoming call answering function. - Making calls from incoming/outgoing call history. - Direct dial function / Private talk function. - Phone registration (Up to 5 phones). - Phone selection / Phonebook download from mobile phone. - Audio control from remote. 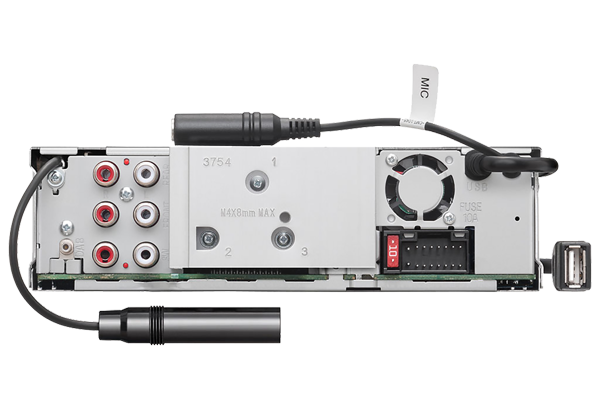 DAB is a digital radio technology for broadcasting radio stations, used in various countries particularly in Europe. 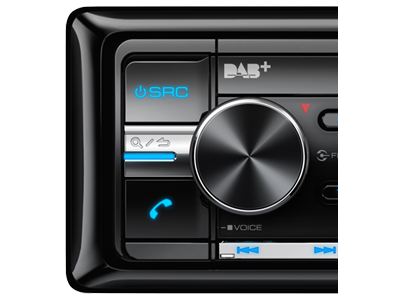 In comparison to traditional AM and FM radios, DAB delivers cleaner, crisper sound due to the noise reduction implemented. 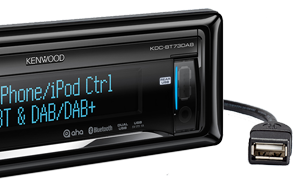 Furthermore an upgraded DAB+ was released in 2007, which features a higher audio quality and better reception. 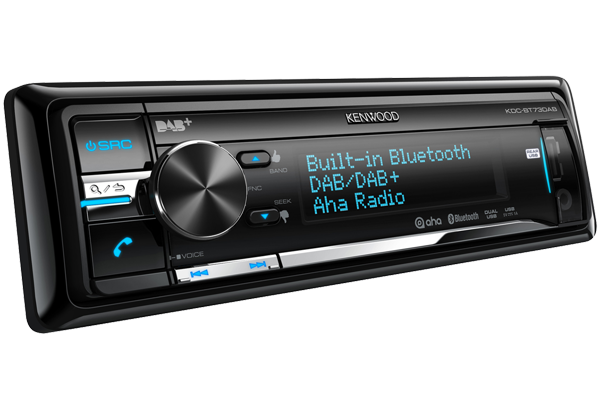 Kenwood's built-in DAB+ receivers are maximised in design, top-end performance and affordability. 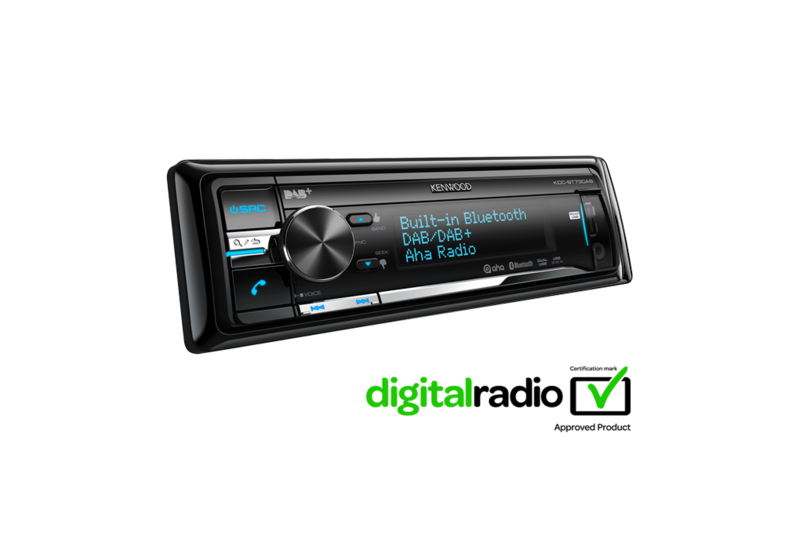 Using the latest digital chip set means listening to digital radio on the move is free of annoying breaks and distortion. Clever technology will even switch from DAB to FM (and back again) if there is a local signal problem. A high quality FM/AM tuner with Presets (18 DAB / 18 FM / 3 AM). 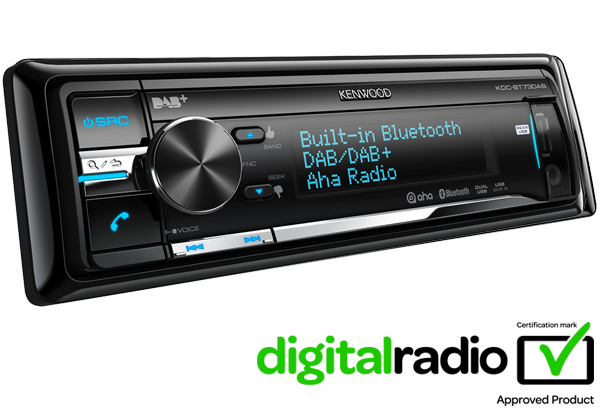 Mixed Preset Memory is also available which enables stations with a different band (DAB/FM/AM) can be memorised to the  -  buttons according to the setting of "Preset Type". 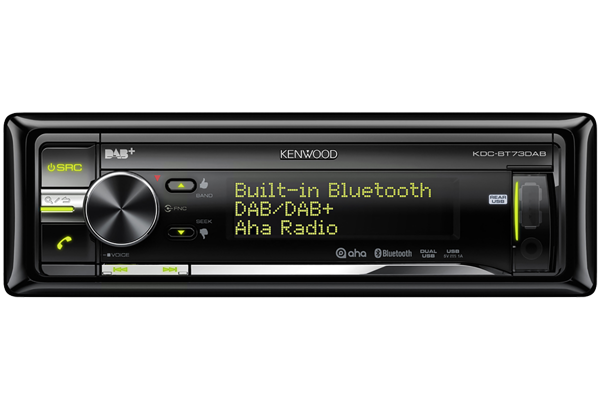 The tuner comes with a traffic interruption option and radio data system. 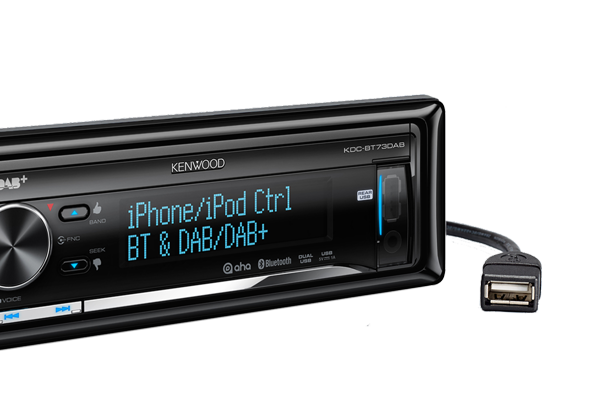 For convenient connection to your portable music device via the dual USB (Front/Rear) inputs or AUX input. 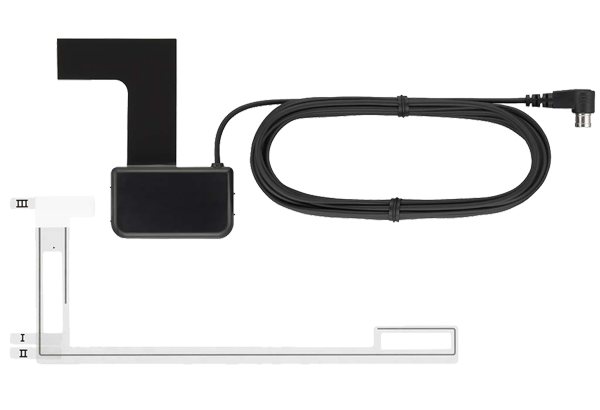 Support your devices at the same time with a front panel mounted USB input and a rear mounted input. Play your music from one USB input and use the other to charge your other device or switch between the two devices for playback (USB device & iPod-iPhone). An LED status indicator for rear USB is found on the front panel and shows it is in use. The protective CD door and cover keeps airbourne particles from interfering with the CD mechanism. 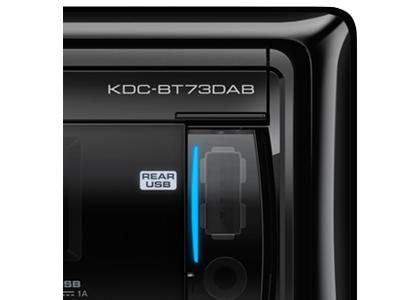 Furthermore this unique idea gives a sleek look on the dashboard, by hiding the disc slot on the front. Playback home recorded MP3/WMA/AAC discs. Playback track features: Random Function (Track), Repeat Function (Track/Disc) and Scan Function (Track/Disc).